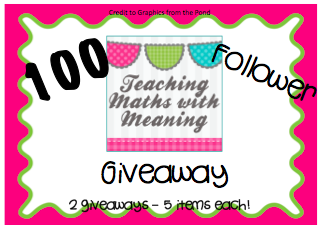 I'm so excited to announce my 100 Follower Giveaway has started! Thank you to all the wonderful bloggers who have donated their items to the giveaway! Please check out their blogs and TpT stores and then enter the giveaway. Due to the variety of activities I have decided to separate the items into two groups - Kindergarten to 2 and 3 to 5. Find all the details below! 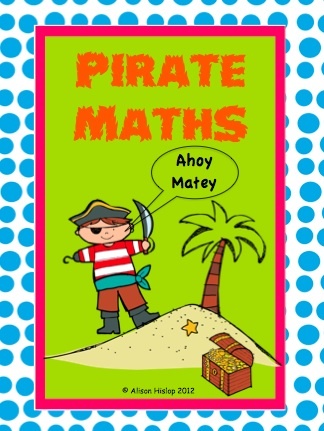 And I have donated my own Pirate Maths booklet. 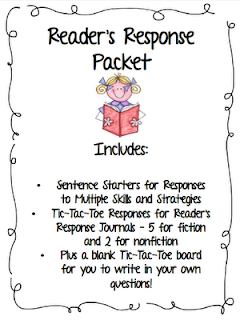 PLUS winners choice of 3 items from my TpT store! I love the support and networking that blogging brings! I've learned so much from everyone all across the world! I love blogging because it has made me a better teacher. Everyone has such great ideas and teaching is all about borrowing and collaboration! I love all the new ideas I have been exposed to! I have only just started my own blog, but I have learnt so much from other bloggers. Seeing what other people do encourages me to be better at what I do. I am looking really forward to being able to share my ideas too! Congratulations on the 100+ followers! I love blogging because my classroom wouldn't be nearly as bright and fun as it now is without blogging! 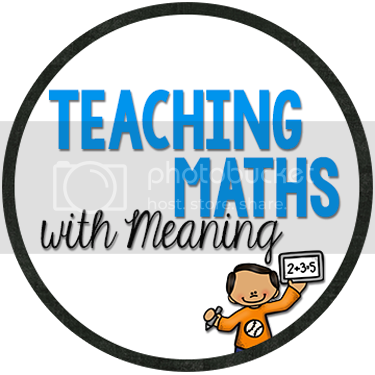 I have found so many wonderful ideas from teacher-bloggers. I find myself participating in more professional development based on suggestions from teachers in the same situations! This is a fantastic giveaway- Thanks for letting me be apart of the goodie givers! :) Congrats on having over 100 followers. I have met so many amazing people. What a blessing networking is. I love all of the great ideas and freebies! Ooooo thanks everyone! I agree with all of the aboves. For me, the best thing about blogging is being able to learn from teachers all over the world! I love it on days when I have had a terrible day, that I can come home, read a great story another teacher has shared and then go "That's why we're teachers!". Thankyou to everyone who has entered my giveaway. I love the connections that I've made through blogging. I've met such wonderful teachers from all over the world, and I've learnt from them (and continue to learn from them everyday!). I love all the wonderful ideas I get from fabulous bloggers around the world. What I love most is that someone else has the time and energy to blog...because I sure don't! Thanks for all the comments ladies! I LOVE blogging! 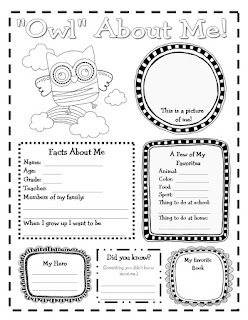 I lovve finding all the great resources. 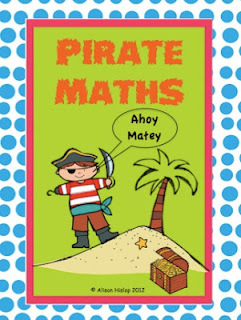 I'm amazed daily at the fabulous, hard-working teachers out there..I'm not the only one staying up late at night finding just the right activities to help all of my learners :) What a great bunch of teachers! !